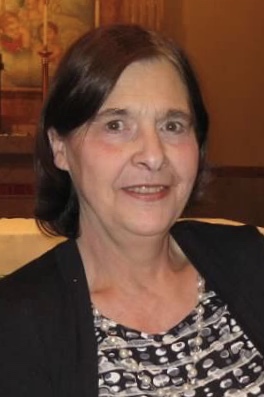 Obituary for Jill J. Henderson | Sollon Funeral and Cremation Services, Ltd.
Jill J. Henderson, 67, of Houston, died Friday, January 25, 2019, in the Donnell House, surround by her four children. She was born July 22, 1951 in Pittsburgh, a daughter of John and Katherine Fest Gaetano. She grew up in the Beechview neighborhood of Pittsburgh, and was a 1969 graduate of South High. Prior to retirement in 2016, she worked as a salesperson for Macy's in Washington for 17 years. She was Catholic by faith. Jill was a loving, devoted mother and grandmother, who enjoyed spending time with her family. Surviving are son, Alan ( Amy) Henderson, Jr. of Marysville, OH, three daughters, Allison (Michael) Cole of Canonsburg, Andrea (Rick) Cario of Canonsburg, Angela (Chris) Duprey of South Lyon, MI, nine grandchildren, Aidan Cole, Ashley Cole, Jonah Cario, Leah Cario, Elizabeth Henderson, Gwyneth Henderson, Rebekah Henderson, Mason Duprey, Travis Duprey, three sisters, Judith (Jim) Miller of Landsdale, Cathy (Ed) Thomas of The Villages, FL, Sandy Gaetano of W. Mifflin, . In addition to her parents, she was preceded in death by her former husband, Alan C. Henderson, who died in 2010 and one grandchild, Gabriel Henderson. Friends will be received Tuesday from 4:00 pm to 8:00 pm at the Sollon Funeral and Cremation Services, LTD, 30 East College Street, Canonsburg, Phillip L. Sollon, supervisor, J. David Sollon, director, 724-746-1000. Departing prayers will be said on Wednesday, at 10:30 am in the funeral home, followed by a Mass of Christian Burial at St. Patrick's Roman Catholic Church, at 11:00 am. Interment to follow in Queen of Heaven Cemetery, McMurray, Pa.